Born and raised in Sierra Leone. Moved to the United States as a teenager. Mr Ganda has had his share of life experiences and is now taking the time to explore life with you. Join father, husband, blogger, and imperfect human Ish (Mr Ganda) as he delves into the secret corners of life. Come look behind the curtain with Ish as he explores life's un-cut moments with his guests. If you want dry humour while discussing serious topics, welcome. If you want that radio voice... well at least he has dry humour. ... See More Ish will also be shamelessly plugging Black Men Who Blog LLC, why, because he is the founder. He is not perfect nor is his podcast. If you accept that, welcome. If you don't, goodbye. 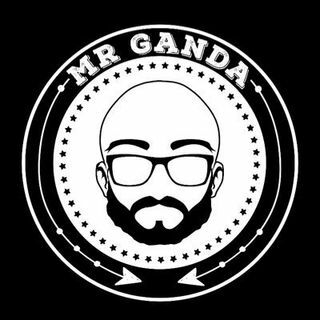 Get to know the man behind the voice at mrganda.com and use #apparentlywithmrganda to tag the show on the internets.